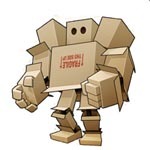 Benno's Figures Forum • Recommended Shop! Not sure if it's allowed to recommend individual shops on here, but I'm going to anyway! If anyone lives or is holidaying in Ireland and Northern Ireland I've got a couple of shops I can recommend from visiting them over the past week. 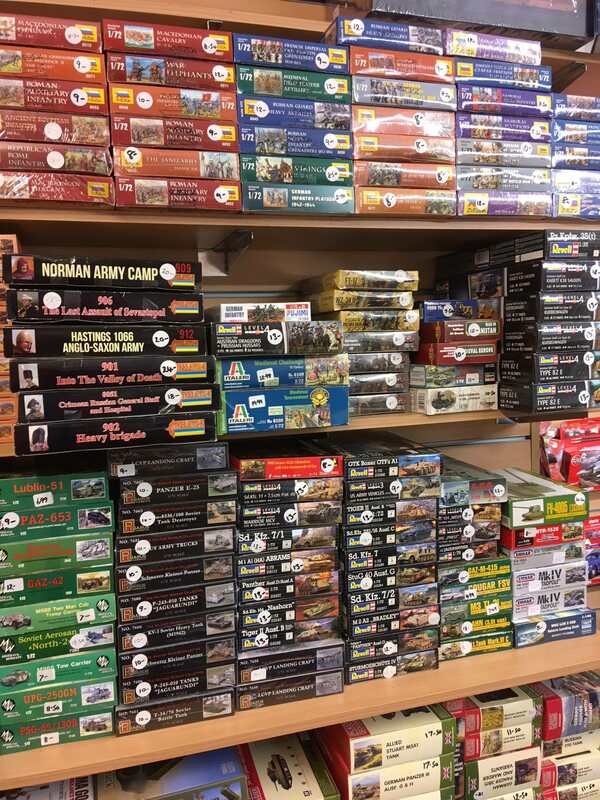 With the prominence of the internet stores there are less and less good model shops out there in the towns and cities so I thought it would be good to point them out incase anyone wanted to support a shop whilst they were in the area. 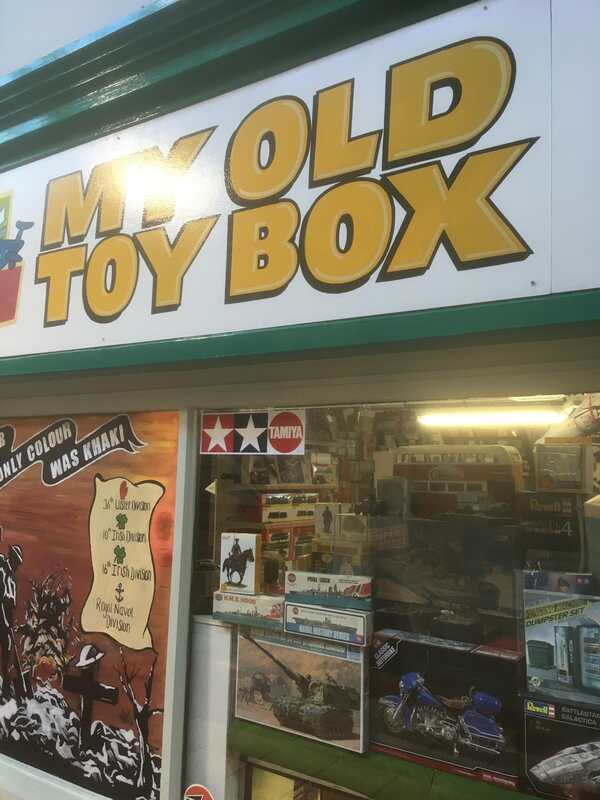 Firstly, I can thoroughly recommend finding a shop in Belfast called My Old Toy Box. It's only about a 15minute walk from the city centre and is found in a slightly old fashioned indoor market. The shop has a really good collection of models including a lot of 1/72 figures-especially Hat and Italeri. 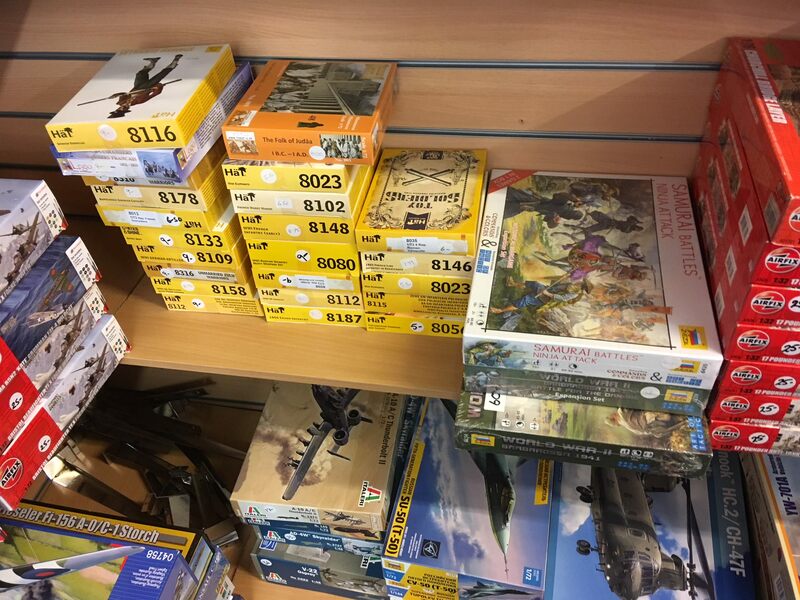 They also had odds and ends of Revell, esci, ACTA, Zvezda, Imex and Ehmar. They also have an upstairs area for rarer second hand sets and they had a lot of old Airfix and a few hard to get Revell sets. 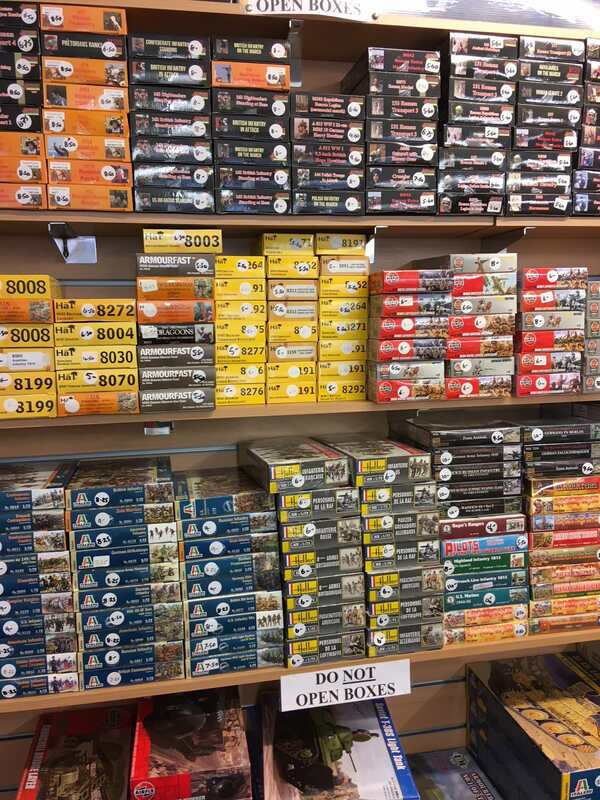 Prices were very good from what I could see (I paid £5.25 each for Hat Gatling gun and Hat British zulu command). 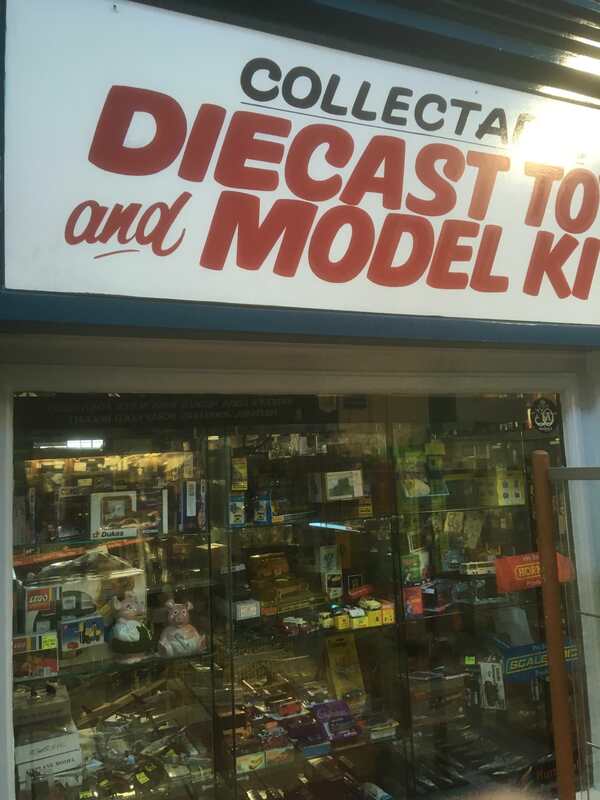 They also had a huge selection of paints, scenics etc and had die cast models, Subbuteo (the football game) and other collectables. I've taken a few photos of a selection of their shelves (with their permission!) to give you an idea as to what the shop was like. Secondly, I visited a small shop in Limerick (Mid/South Ireland) called The Gathering. It's only a 15 minute walk from the main shopping streets. 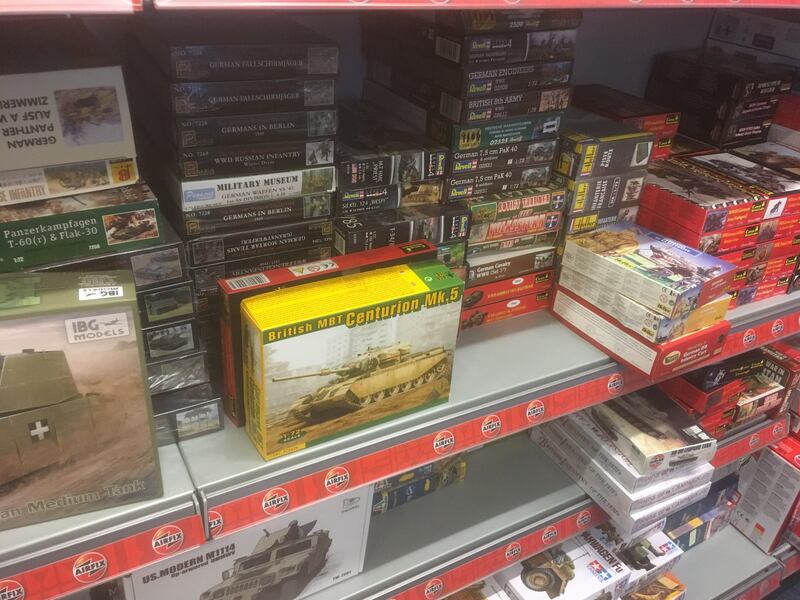 The selection of 1/72 is quite small (a mix of Italeri, Ehmar, Zvezda, Imex) and the prices aren't the cheapest, but it was a really nice shop to visit. 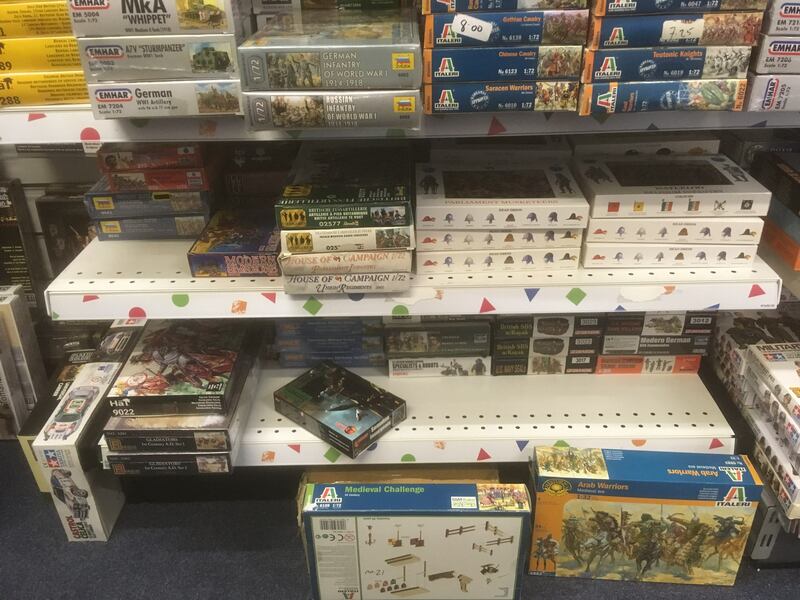 They also had a selection of Warlord 28mm and paints/scenics. What was impressive was that they seem to paint a lot of the figures themselves in the shops in-between customers and the standard was very good. They had a huge selection of Zulu war figures all painted and based ready for an event they were attending. 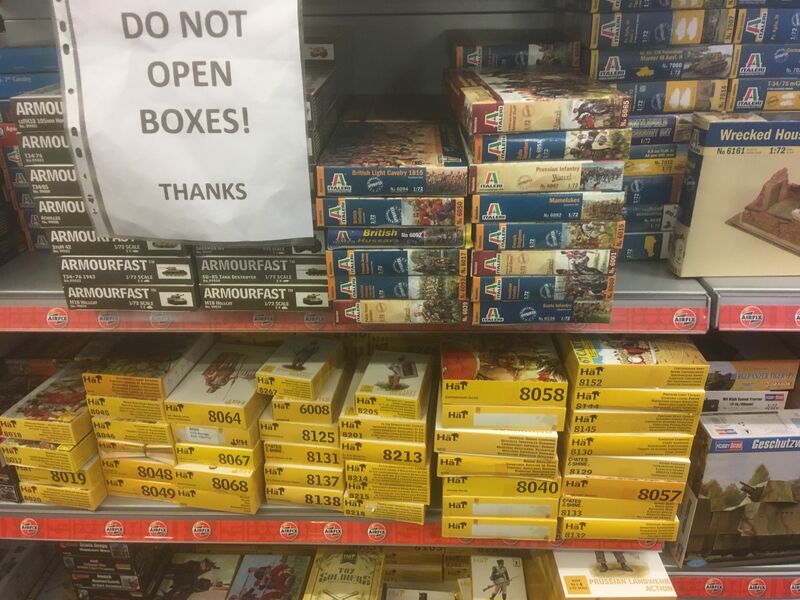 Well, I certainly wouldn't mind to visit those hobby shops. Looks fantastic! Next time I am in Ireland I will check them out. 2 Shopping center with plastic modelling section. Not all at the same time. But in a timeline of around 25 years. 0 Shopping center with plastic modelling. 0 shops for model train. 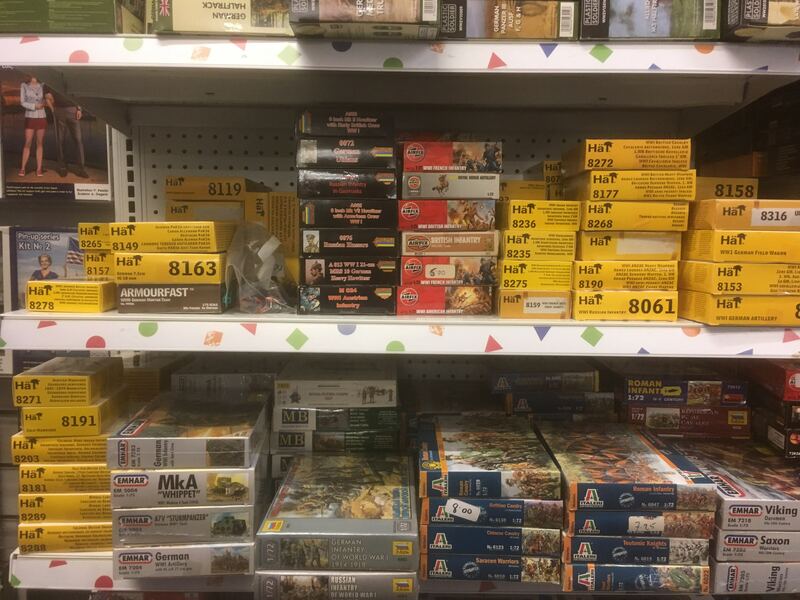 Your hobby shop pic look similar to the ones I remember in my youth. Ok, with German text on top. I don't see the point Dali? Can't we miss Kevin? On topic: the toy shops are stopping everywhere. They can't concer with the internet! 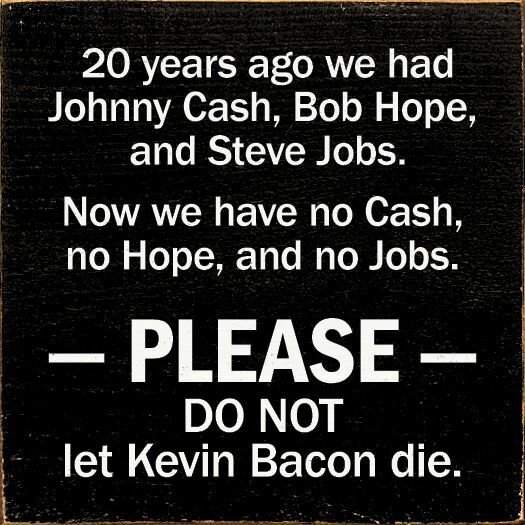 Kevin Bacon is an American actor. He was in "Footloose" and "Mystic River" and a bunch of other stuff. Bluefalchion wrote: He was in "Footloose" and "Mystic River" and a bunch of other stuff. 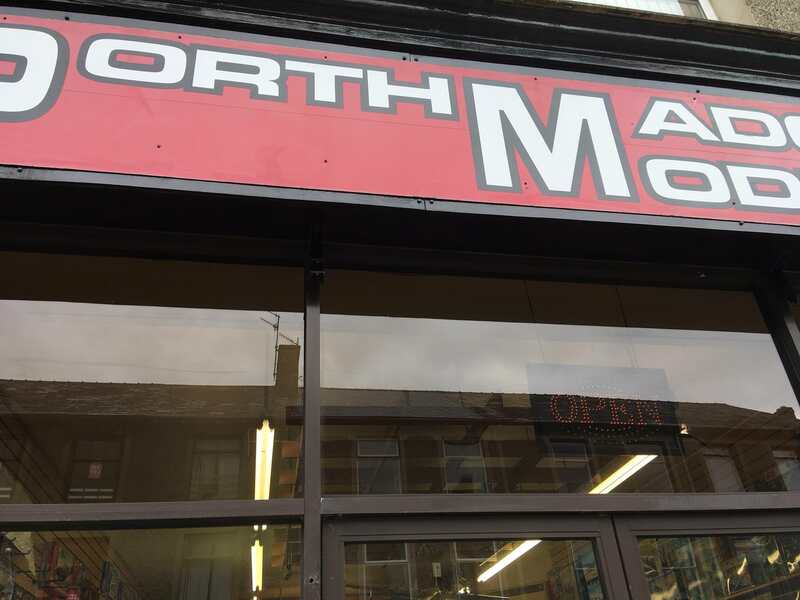 Not to forget “Tremors“, “Sleepers“, “Death Sentence“ or “X-Men: First Class“... .
On my visit to North Wales I have found another gem of a model shop. Porthmadog Models can be found in the centre of Porthmadog, a very nice small town in one of the most stunning parts of the UK. 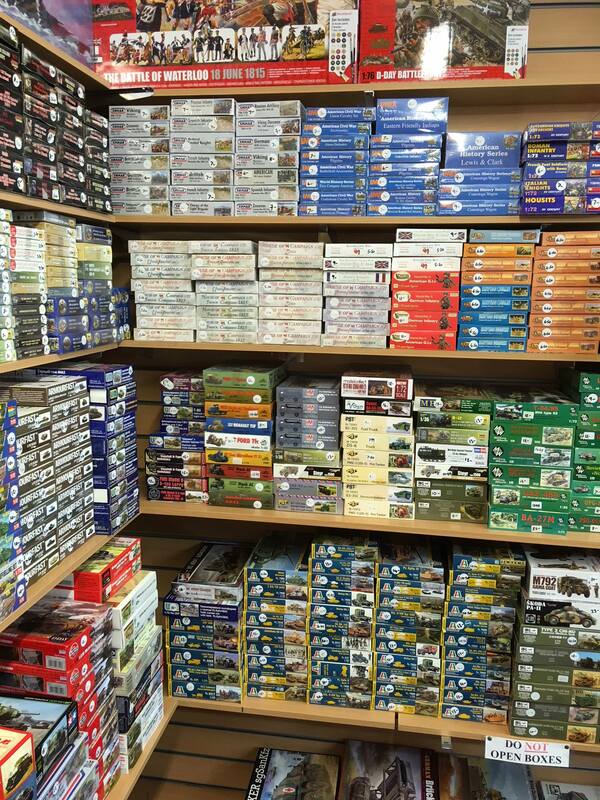 The shop had a great range of plastic model kits, die cast toys and paints/scenics. 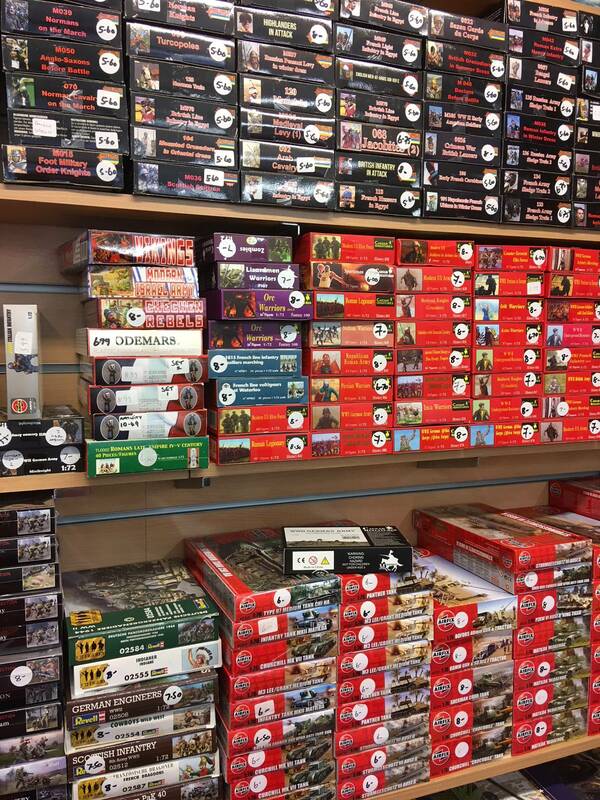 It also stocked 28mm Warlord figures and 54mm sets. 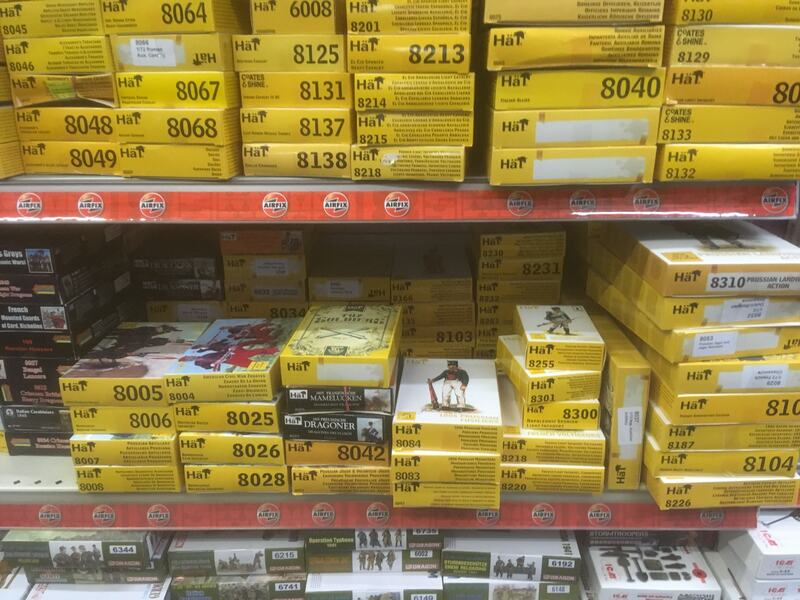 But the best selection in the store was its 1/72 plastic figures! It had a huge range of Hat, Italeri, Strelets, Ceaser, A Call To Arms and Zvezda. It also had varieties of Imex, Revell, Red Box, Airfix, Ehmar, Orion, Mini Art, Accurate, Mars and Waterloo. 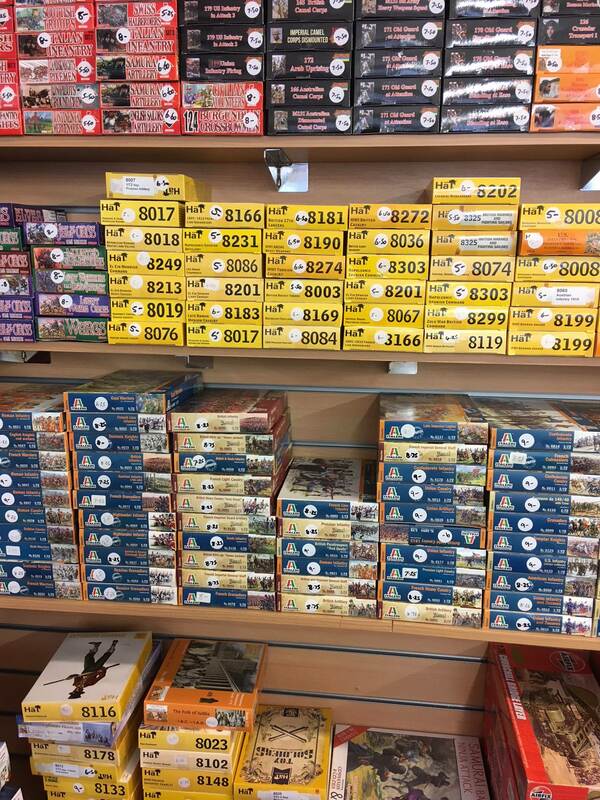 They had a lot of discontinued sets that you just can't find on the internet (Hat Peninsular Brit inf /Swedish Inf, ACTA Brit Zulu War inf, Revell German Artillery etc )and the prices were all very good (the majority being the same price or even CHEAPER than the internet). The lady at the till was friendly and basically you couldn't ask for a better model shop! I took a few photos (with their permission!) to give you an idea of the place. The photos are blurry as i had my hands full of sets I was buying! They don't have a website (just reviews on Google) but i overheard them saying they post deliveries and can take payment through Pay Pal if you're not able to get there-although you should have a holiday in Snowdonia and make a special visit to there! I would very much like to go there. But there will be trouble! I wouldn't want to leave! Looks like pure Heaven! Great pics to drool over! A LOT! That's a gem for sure . They even have many Zvezda sets. I really could have spent all day there...but my parking space was limited to 1 hour...I'll be visiting again next summer!